What is an outdoor adventure to you? It could be running out of gas and walking a mile to the nearest station or digging a hole for a fence post and hitting a pipe that shouldn’t be hit. It might mean lying on wet grass in the backyard on a warm summer night looking up at the stars. It could be a quarter-mile hike to a waterfall or 22 miles backpacking the Appalachian Trail, a paddle across the lake cove or down a rapid succession of gully washers on a white water river. An outdoor adventure is relative to age, stage and mindset, but there is one thing all outdoor adventures have in common: somewhere along the way, there is an element of surprise. 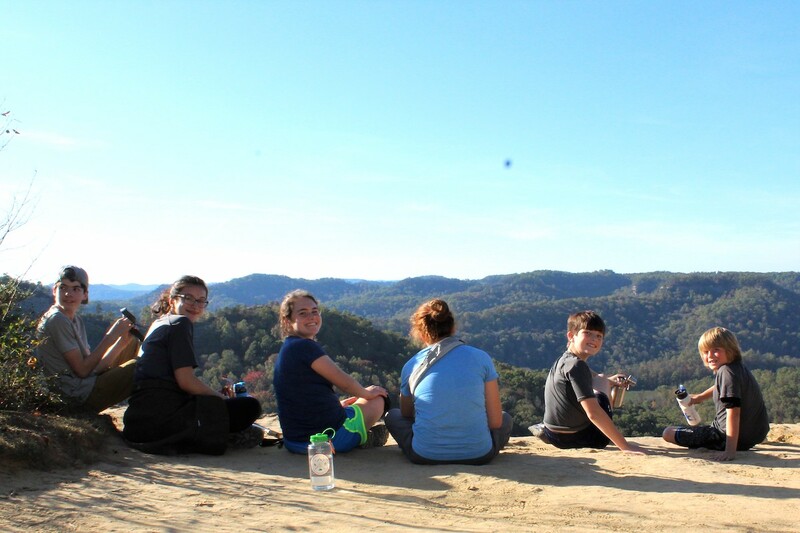 The Lexington School’s Outdoor Adventure Club (OAC) provides elements of surprise to participating middle school students once a month through affordable weekend excursions camping, hiking, canoeing, white water rafting, caving, and more. OAC teaches lessons that lie well outside the four walls of the classroom. The natural world holds a new surprise for adults and kids who wrap their arms around the adventure and embrace the next step on their personal journey. Outdoor Adventure Club is another Lexington School platform for the education of the whole child. It’s another program where COURAGE is FOUND.